Miraberen's Miranda Rolfes and her husband (and biggest supporter), share their Rotterdam, Netherlands home with two Sphynx cats, Mira and Fay and a lot of teddy bears. Sewing seemed to be destined for Miranda as she graduated as an old school tailor, but somehow, through the twists and turns of life, she ended up in the financial world as an account. "I work five mornings a week, so I spend my afternoons bear making." 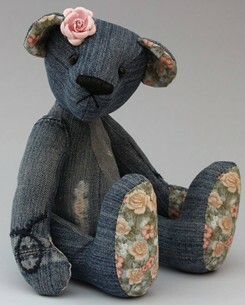 She's began making bears after she was sidelined by an illness. "I sat at home and had to learn to relax and enjoy myself, so my husband advised me to search for a hobby that suited me." 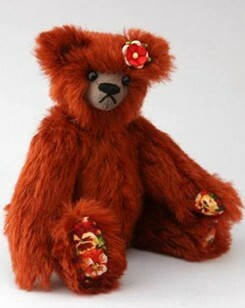 Calling on her talents as a seamstress, Miranda combed the Internet and found a bear kit. "My first bear was not perfect; it had some loose joints, but I really liked the idea that I could bring something to life with a piece of fabric." 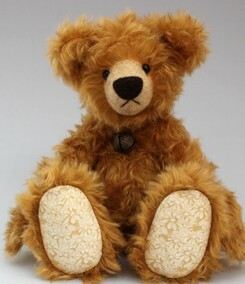 Bear making carried the benefit of being relaxing because she would use the same kit pattern but change the bear's looks by using different fabrics. She could practice techniques like needle sculpting, pulling the eyes in the head and stitching the nose. Soon though, she had so many ideas of her own that she decided to design her own patterns and eventually, Miraberen was born. Named after one of her cats (Mira and the first four letters of her own name) and the dutch word for "bears." A self-professed 'dreamer,' Miranda says she likes to watch fantasy movies and read fantasy books when she's indoors. On a beautiful day and with Rotterdam nearby, she goes cycling to clear her head and this time immerses her in nature, animals and she's drawing on those visuals to create a natural styled bear. 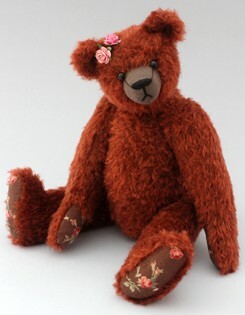 In the beginning, Miranda made her bears from standard materials like mohair, suede and felt, and because she likes the soft colors, quilted fabrics and flowers, she looked for a way to combine those elements into her creations and that helped develop her own style. "It seemed to work, and from that moment I feel my bears are recognizable for their beautiful fabrics in soft colors, with paws made out of quilt fabric and most of the time with flower accessories." 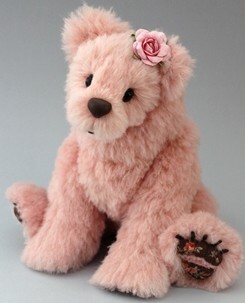 However, it wasn't long until she further experimented and worked to translate her style into a 'nature' bear. Taking workshops from other artists, she learned to design an old fashion bear and develop that further into a bear more resembling those found in nature. 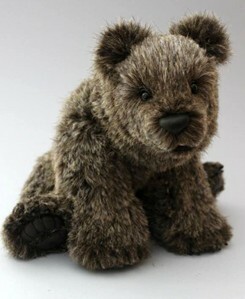 With longer muzzles, Miranda was able to incorporate her style with the 'nature' bear. "When I finished my first one and it came to life for me, I was hooked!" 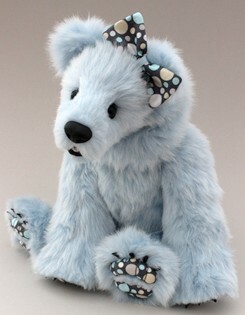 "It takes a lot of time to make bears and it gives me the satisfaction to find the most beautiful combinations for my creations. I use of Lockline armature because of the mobility that really makes the bears come to life." When asked what her favorite part of bear making is, Miranda replied,"Creating the face, because you are getting to see what sort of personality the bear is developing and if it is adorable enough to give someone a feeling of happiness, or if it will put a smile on someone's face." Her creations have been putting smiles on collector's faces for some time. Since 2012, Miranda has placed in various teddy bear competitions, but that hasn't stopped her from changing and developing her style even more. "For the future, I want to learn more techniques so that I can put more realism into my creations and make realistic animals like monkeys, wolves, and hyenas. Who knows? Maybe I can still incorporate 'Miraberen style' into those." Where is . . ..